It has been a little over a month since the leader of the Roman Catholic Church came to the United States. Coverage of his coming began weeks in advance, with a media blitz culminating in a strange ABC simulcast of sorts, that was paint Francis as accessible. On the surface it would have appeared his visit was pastoral, but diving beneath the manufactured veneer of his visit we could see a more intrusive spiritual and political agenda. 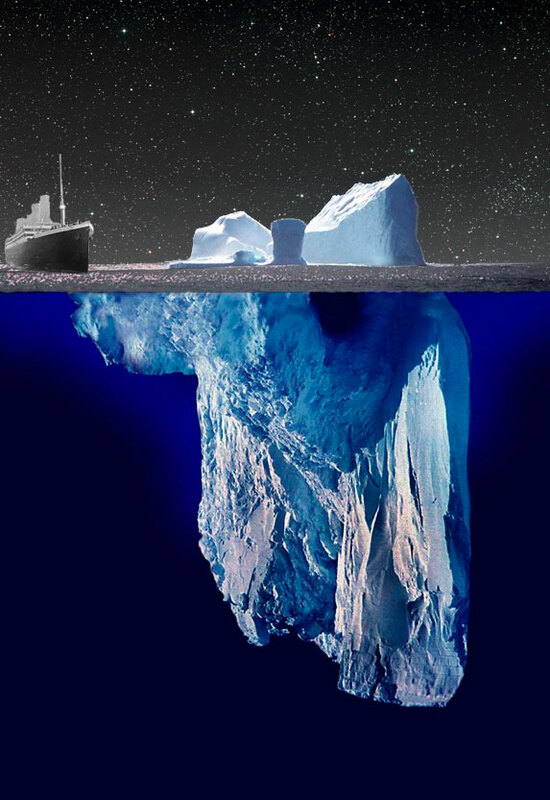 The details of this visit and its deeper and more troubling meaning were chronicled in “Getting A Look at What Lies Beneath I” on this blog. Although posing as Orthodox faith in Jesus Christ, the Roman Catholic Church actually preaches another gospel entirely. This may come as a surprise to some, but it is about time to wake up to the danger of accepting or ignoring teaching and practice which is antithetical to the doctrine of Christ. In the Epistle to the Galatians 1:8-9, Paul warns us what to do when encountering another Gospel… “But even if we, or an angel from heaven, preach any other gospel to you than what we have preached to you, let him be accursed. As we have said before, so now I say again, if anyone preaches any other gospel to you than what you have received, let him be accursed”. Those who Paul was warning that Galatians about, had been adding a condition to salvation. They were saying man was justified by faith in Jesus and being circumcised. The Word of God makes only repentance and faith as conditional for being redeemed. To the Holy Spirit, who inspire Paul’s pen, this addition to the gospel was the highest crime, worthy of being cut off from fellowship (accursed). As we will discover, not only has the Catholic church done this, but blasphemous yet, they diminish the sufficiency of the cross, the center piece of the gospel of grace. Please understand, what I communicate is not to denigrate rank and file Catholics, who are sincerely trying to practice their faith. In spite of this truth, these poor masses need the truth from those who known Christ, and that means we must be able to speak clearly with truth, pulling down the strongholds that keep them in chains to a satanic error, as it has been propagated by those who appear to be serving God. Let us waste not one more second, but get to the heart of the matter. The central act of worship in Catholicism is the adoration or worship of the eucharist. The eucharist ultimately refers to what Protestants call the elements used in the Lord’s Supper. Whether it be baked bread or unleavened bread of grape juice or wine they are the eucharist. There have been many ideas of where the presence of Christ is during the ordinance of communion, but where the Catholic Church falls, based on its error filled interpretation of the Word of God, leads toward diminishing the deity of Christ and His once for all atonement for sinners. The Romans C.C. teaches what is called transubstantiation. This doctrine purports that when the priest says a particular word, the literal Presence of Christ enters the bread and wine, making it literally the spiritual and physical substance of Jesus. Because of this “miraculous” transformation, they adore the host (wafer of bread) and worship. After the priest raises the host so all the congregants can see “the body of Christ”, they worship the piece of bread as literally Jesus body. I am aware that some may see this as nit-picky, but it really is not. Let’s take this apart piece by piece. The whole idea of where Jesus Presence is during communion has been the cause of much controversy. The three dominate views have been Catholicism, the Lutheran view and the biblical truth of communion being a powerful memorial where as a body we encounter the Presence of Christ in a special way. The Lutheran view, although unnecessary, is closer to the Word of God and would avoid the worship of a graven image, something made by hands that is assigned deity. The Lutheran view, consubstantiation, declares the Presence of Christ is with the bread and wine, although not in it. Truth of the matter is that the Presence of Christ is not in the elements or around the elements, but manifest in the members of the body as they gather in Jesus name. Although this passage is specifically speaking on the Presence of Christ in His people when exercising Church discipline, it illustrates the mystery of God hidden in times past, Christ is us the Hope of glory (Colossians 1:27). When applied to the Lord’s Supper, we see the seriousness of not offending the Presence of Christ through selfishness, contention, gluttony, division or elitism. When one examines the book of I Corinthians one can see all these carnal immaturity’s, and it was in the time of the Lord’s Supper, where we can see the impact of not regarding the Presence of Christ in His church. In I Corinthians 11:17-34 we encounter a treatise on communion behavior, and what is a possibility if we offend Christ in it. As one reads through those verses, you see the carnality and immaturity of the Corinthians.It is amazing nothing is said about how your treat the elements, other than they are not there to fill your hunger, but have a deep meaning. What is highlighted is how poorly they were treating one another, even during such a holy time. 1 Corinthians 11:23-26 (NKJV) For I received from the Lord that which I also delivered to you: that the Lord Jesus on the same night in which He was betrayed took bread; and when He had given thanks, He broke it and said, “Take, eat; this is My body which is broken for you; do this in remembrance of Me.” In the same manner He also took the cup after supper, saying, “This cup is the new covenant in My blood. This do, as often as you drink it, in remembrance of Me.”For as often as you eat this bread and drink this cup, you proclaim the Lord’s death till He comes. After this statement Paul goes on to write of what happens when we eat the bread and drink the cup unworthily… we will be guilty go the body and blood of the Lord Jesus. Therefore we are to examine ourselves, and strive for the unity of the Spirit and the bond of peace. Interestingly the very next Chapter goes on to speak about the diversity of the body of Christ, and it is not referring to communion elements but the individual members which make up the Church, which is the habitation of Christ, by the Holy Spirit. Catholics theologians will site that Jesus said the bread was His body and the wine His blood, but their interpretation holds no scriptural affirmation, as Jesus did not have a tap plugged into Him, at the last supper. His blood was still in His body. He did not break off a piece of His flesh and give it to them. He had a symbolic meaning. Again Catholic theologians would site where Jesus said “He who eats my flesh and drinks my blood has eternal life and I will raise him up on the last day. My flesh indeed is food and my blood is indeed drink. He who eats My flesh and drinks My blood abides in Me, and I in him (John 6:54-56)”. The biggest problem with the Roman Catholic interpretation is they disregard Jesus own words following what He just said. After Jesus completed this saying, many turned away from following Him and He asks His disciples if they were offended, because they were clueless as to what was going on. Jesus then declares this very important qualification of the words on His flesh and blood. Let me explain why this is such a big deal. By saying that Christ’s Presence literally comes into the bread, it leads to people worshipping a man made image. How sad that this idolatry is seen as religious and holy and beautiful, when is it a grave error, that leads to something much more serious when examining the frequency of the eucharist in the Catholic Church. Each day, a masstakes place, where this idolatrous practice goes on. The word mass means “Go” or “It is the dismissal”. The literal center of the catholic mass is the eucharist, where the Presence of Christ in the bread and wine are offered continually for the forgiveness or dismissal of sin. Let the implications sit with you for one moment. As they literally believe the Presence of Jesus inhabits the elements, they also believe the priest presides over Jesus perpetual sacrifice. This belief comes from their idea that their priesthood replaced the O.T. priesthood, where animal sacrifices were made for the covering of sin. Now, daily around the world, their priests are presiding over the slaying of the “Lamb of God” who takes away their sin. I realize this language is strong, but it is true language. We are warned in scripture to beware… “For such are false apostles, deceitful workers, transforming themselves into the apostles of Christ? And no marvel; for Satan himself is transformed into an angel of light (II Corinthians 11:13-14). Our is a day where any form of godliness is being criticized, so it is difficult to take up take up a battle with those who may be perceived as a “little off”, but are certainly not enemies. Let us remember Paul’s biggest enemies were those who were “enemies of the cross of Christ”, which is a reference to those who preached another gospel. These alternative gospels were not devoid of Jesus talk, or morals, but in some way added requirements to the message, diminished Jesus deity or diminished the once for all sufficiency of Jesus gift of grace in the cross. We have one message and one commission to preach. We need to stand against any redefinition of the faith once delivered to the saints, even if it appears to come with a friendly and accessible face. What is seen always appears navigable, but it is what is not seen, that which lies beneath, which will rip a whole in the ship of faith, and lead to ship wreck. Let us be careful and warn others to what lies beneath, and what who can save them from the destruction it brings with it.